This is a business model that’s been around for years – but don’t make the mistake of thinking that it’s a stale method that no longer works. People all around the world are still creating great profits through flipping, although it can sometimes be a tricky world if you don’t know what you’re doing. Fancy making a quick profit without doing much work? 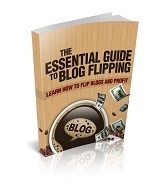 The blog flipping probably ISN’T for you. Make no mistake about it. Being a successful flipper requires quite a lot of work – but it can also be a lot of fun too as you create a valuable asset, nurture it, watch it grow and then turn it into profit. You don’t have to wait years before you sell of course. Many people specialize in building blogs and flipping them straight away for quick profit, however most would agree that a longer-term strategy can generate more profit. Ready to dive in but don’t quite know how to swim yet? 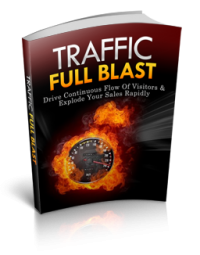 Once you’ve read this value packed report I want you to have the knowledge you need to go out and give blog flipping a try. I don’t assume any previous knowledge either – I’ve designed it to take you from blog flipping newbie to expert in as short a timeframe as possible. 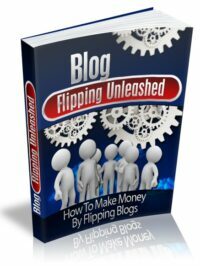 If I’m being honest you probably don’t need to be a rocket scientist to be a successful blog flipper. There IS also a lot of advice and information available online, however who has the time to seek out and sift through the best bits? Wouldn’t it be handy to just be able to read a straight to the point report and find out the bits you really need to know?